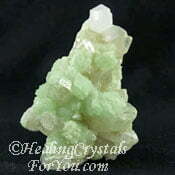 Menalite are known as Goddess stones as they have a quite beneficial spiritual energy to help women. Choose one with an appearance that attracts you. 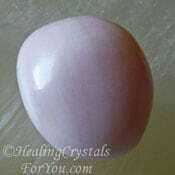 This may assist you to make contact with spirit guides during meditation, as these stones create a strong connection to ancient female insight and judgement which may be highly beneficial to you. 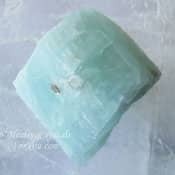 They are excellent healing crystals for you to use in a meditation for past life regression and to connect with spirit guides who may assist you to release fear, including fear of death. 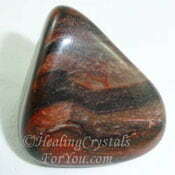 They are also good grounding stones that help to create a stable earth connection, and they come in some wonderful shapes that are quite shamanic in nature. 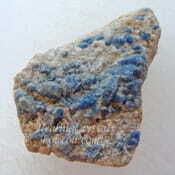 The spelling of this stone may also be seen as Menilite. 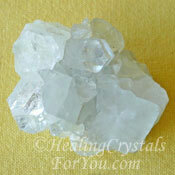 These white stones are said to have been named for the place they were originally found in Menilmontant in France. They have also been found in Morocco, where a lot of white stones now come from, as well as in Algeria, Africa, Spain, Morocco, Australia and in the USA. 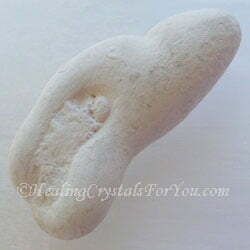 The stones that are found in the USA are also known as Calcite Fairy Stones, and have been in use for hundreds of years. 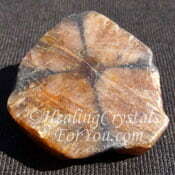 The USA stones are said to have been created when the glaciers receded. 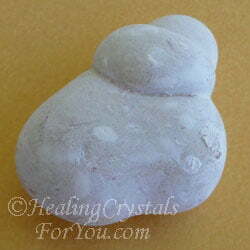 The mineral make-up of these stones is calcium based, and they have a hard yet chalky feel to them. 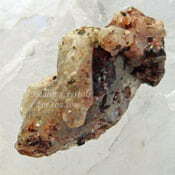 Most stones are colored white but some are darker, especially those found in the USA, due to various mineral inclusions. So they may be colored off white, grey or light brown in color, and this does depend on the location where they were found. 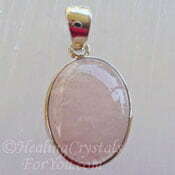 Most stones are roundish with a quite smooth regular even surface. Their appearance is quite unusual, and although many look similar they are each quite unique. The fact that were first found in France is interesting. They remind me of the ancient fertility Goddess that was found in an ancient archeological dig in France. I love the look of them as they almost look like they were carved to represent specific ancient goddesses. 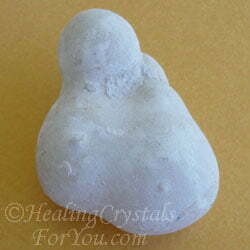 These Goddess stones are wonderful to use in meditation, and have a quite spiritual energy. They may be advantageous to use when you are doing past life regression, as they may assist you to travel to the area in the higher realms where the akashic records are located. 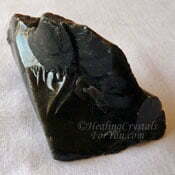 They may assist you to connect with specific spirit guides and are also said to assist with a connection to spirit animals that are there to aid your spiritual journey. 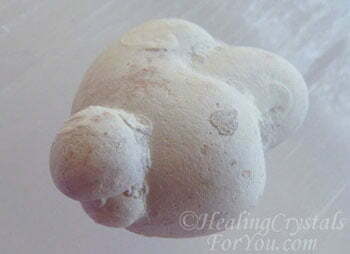 They have a lovely heart based energy and are very useful stones to assist you if you are doing past life regression work that makes you fearful. They may be especially helpful to assist you to conquer the fear of death, when you may have to deal with memories from the past that make you feel frightened. 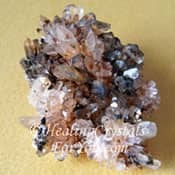 These white crystals are excellent grounding stones, as they anchor your energy, making a connection down through the earth chakra to Mother Gaia. 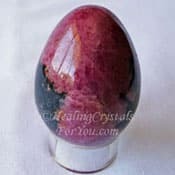 They make a good connection at both the sacral and base chakra to aid with healing of female health issues, and may increase your fertility. 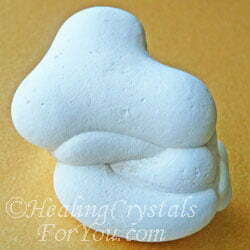 They may be especially helpful to females going through puberty, childbirth or menopause. 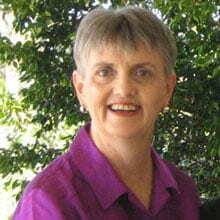 Sleep with one under your pillow to aid menopause symptoms such as hot flushes or night sweats. 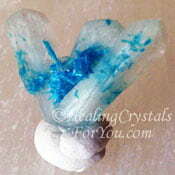 They have powerful metaphysical properties that are supportive for females to use. 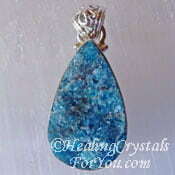 They are helpful to connect to the energy of the wise woman within each of us and may aid older women who feel that they need help to transition to the wise elder. "There are two ways of spreading light, to be the candle or the mirror that reflects it." Edith Wharton. 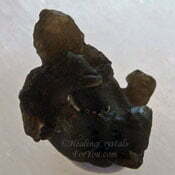 These stones are advantageous used in meditation to help you to be able to go to the area where the akashic records are located, to discover information about past lives. 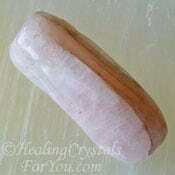 If required you can combine them with other stones for the same purpose to help the process. 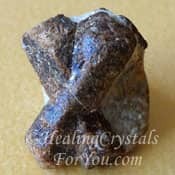 There are a number of other stones that also aid you to reach the akashic records, including Afghanite, Blue Apatite, Cavansite, Petrified Wood, Elephant Skin Jasper, Aquamarine, Apophyllite or Creedite. 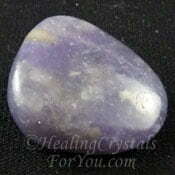 There are a number of other stones that will assist you to let go of fear. 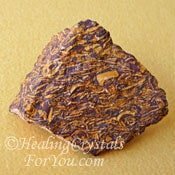 If you want to boost this attribute it may be beneficial to combine them with some of the other stones that have similar qualities. 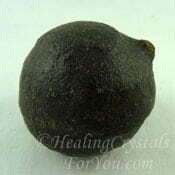 Stones you could choose includes Witches Finger, Black Obsidian, Darwin Glass, Rhodonite, Mangano Calcite or Staurolite. 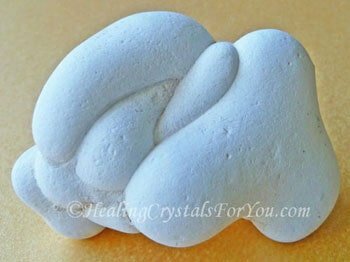 If you have a specific fear of death, you may wish to use these white stones with other crystals that help to relieve this fear. 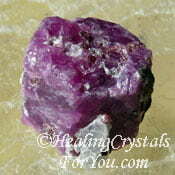 Other crystals that help to release fear around death includes Ruby, Shaman Stones and Chiastolite. 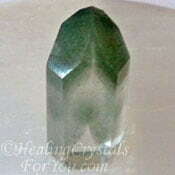 To aid you to connect to specific spirit guides that may assist you, use some of the stones that also resonate within the heart or higher heart chakra. 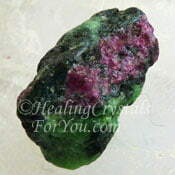 Some of the heart based stones that will aid you to connect with your spirit guides includes Anyolite, Green Prehnite, Chlorite Phantom Quartz, Morganite, Petalite or Lilac Lepidolite.